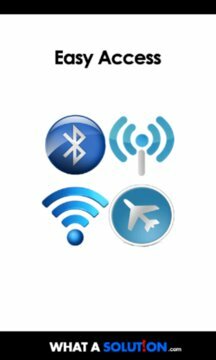 Easily access settings like Bluetooth, Wi-Fi, Cellular and Airplane Mode. For fast access while doing you work, jus press and hold the tiles and click on Pint to Start. So you can directly use the service. Pin to Start for application is added. 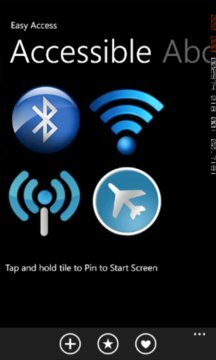 Basic Application Icons bar is added.